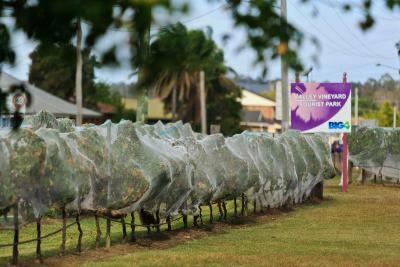 Lock in a great price for Ingenia Holidays Hunter Valley – rated 8 by recent guests! 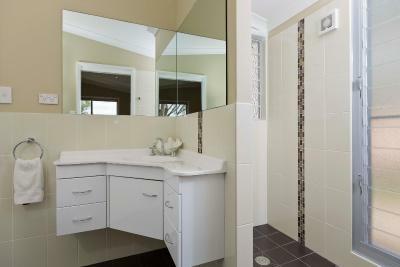 Location was great and I liked the separate suite and bath. Cabin met expectations with all the usually facilities. That there was a nice restaurant onsite and vending machines for snacks and drinks. Nice cookies left for guests! The fridge and air conditioning were great at keeping our food and us cool. Good hot water pressure. Compact cabin. Well equipped. Good shared facilities with Bbq very close. Two very good pools. 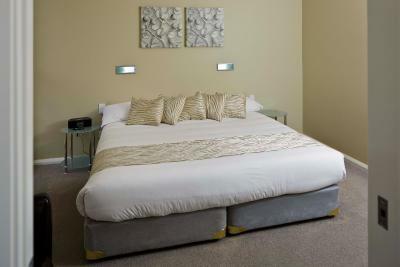 Clean and comfortable, roomy and everything you could want for a comfortable stay. We would easily stay here again. Close to the town centre and people were very friendly and helpful. 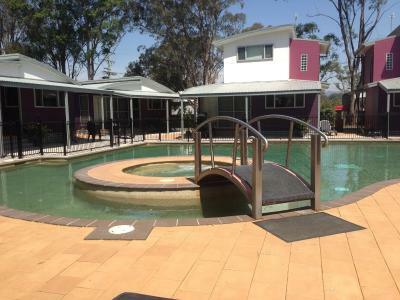 Located in the picturesque Hunter Valley, Ingenia Holidays Hunter Valley features an outdoor swimming pool and an on-site restaurant. 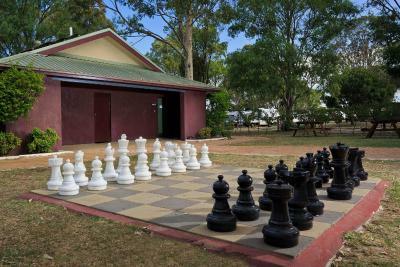 This family friendly accommodations offers a games room and BBQ facilities. 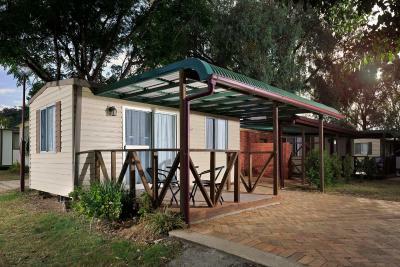 Ingenia Holidays Hunter Valley is within 7-minutes’ drive of several popular Hunter Valley Wineries, including Somerset Vineyard, which is 5-minutes’ drive away. 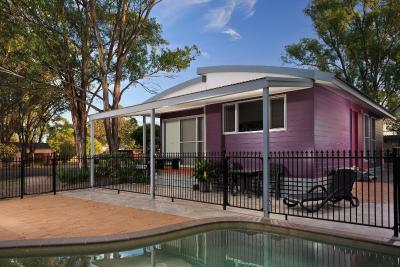 It is 10-minutes’ drive from Hunter Valley Zoo and 50-minutes’ drive from Newcastle Airport. There are a variety of accommodations options available for guests, including villas and studio rooms. 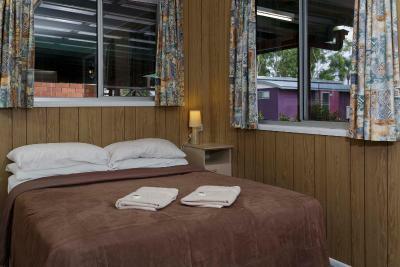 All rooms are air-conditioned and offer a flat-screen TV and a private bathroom. 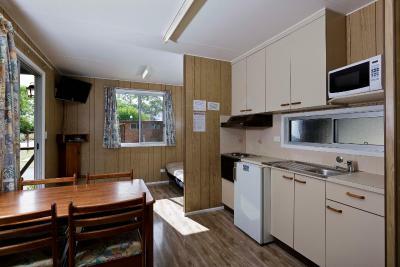 Some rooms also feature a fully equipped kitchen. 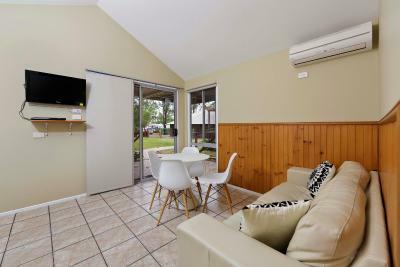 When would you like to stay at Ingenia Holidays Hunter Valley? This villa features 3 bedrooms. The master bedroom has an private bathroom and a king-sized bed, while the 2nd and 3rd bedrooms, each have 2 king-single beds. 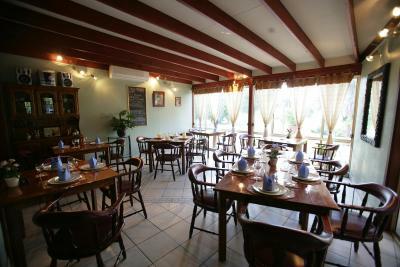 There is a fully equipped kitchen, a dining area and a lounge with a TV. There is reverse-cycle air-conditioning in the bedrooms. 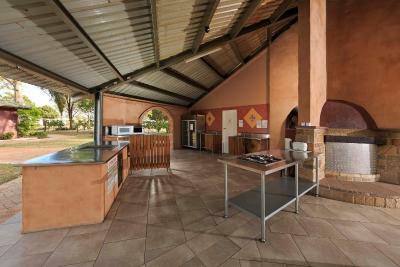 Other features include ceiling fans, a laundry and an outdoor entertaining area with BBQ facilities, outdoor furniture, sun lounges and private access to the pool. This villa is air-conditioned and features a flat-screen TV. 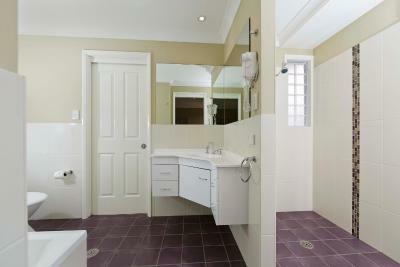 There is a fully equipped kitchen and a private bathroom. This villa is air-conditioned and features a flat-screen TV. There is a private bathroom and a kitchenette with a refrigerator and a microwave. 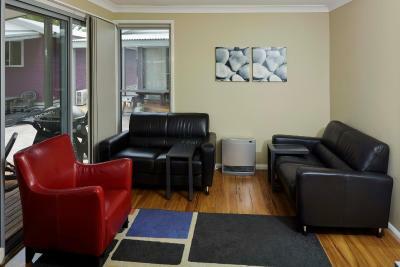 This studio is air-conditioned and features a flat-screen TV. There is a private bathroom and a kitchenette with a refrigerator and a microwave. 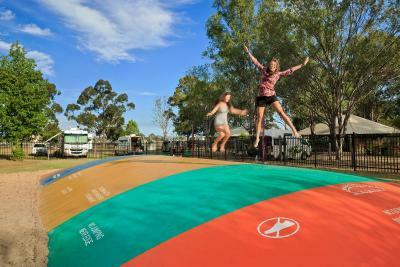 House Rules Ingenia Holidays Hunter Valley takes special requests – add in the next step! 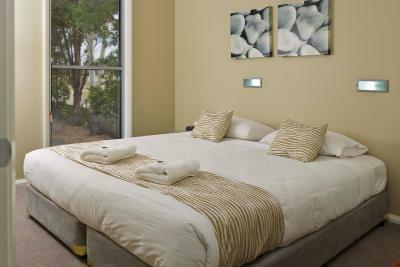 Ingenia Holidays Hunter Valley accepts these cards and reserves the right to temporarily hold an amount prior to arrival. The cabins weren’t the cleanest and the beds were terribly uncomfortable. The bathroom door didn’t close properly and the toilet lid was stained and dirty. The dining table wasn’t really able to be used as it was too big for the kitchenette area and the lounge was outdated, stained dirty and extremely uncomfortable. There was mould near the wet areas and smelt musty. The lounge - hard and lumpy. 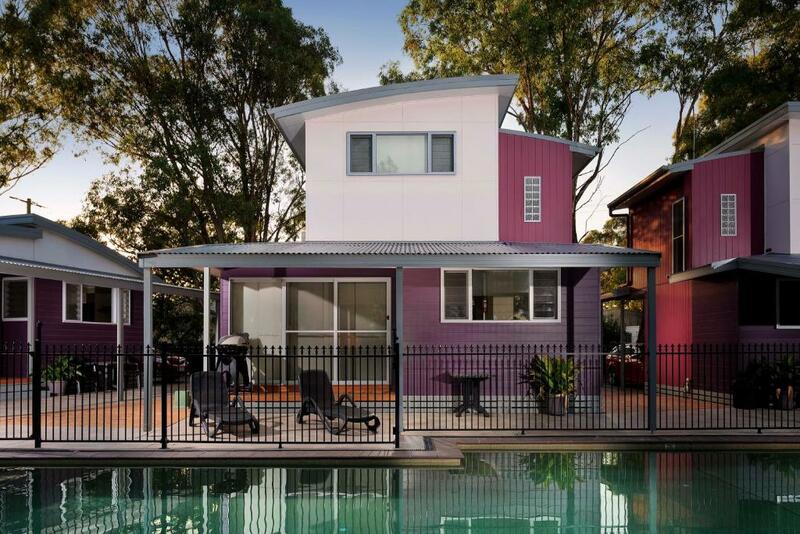 location, outlook on pool, size of unit and fitout of unit, peaceful surrounds. Our cabin, while comfortable, was not at all like the cabin in the ad. Aircon did not work properly, we booked 2 nights but we couldn't stay because the aircon did not work, we were not happy with this. Reception closed by the time we figured out the aircon did not work and it was just to hot to stay. Nice pool, great customer service, room was a nice size. Little comfortable seating in living area. Small dining table.